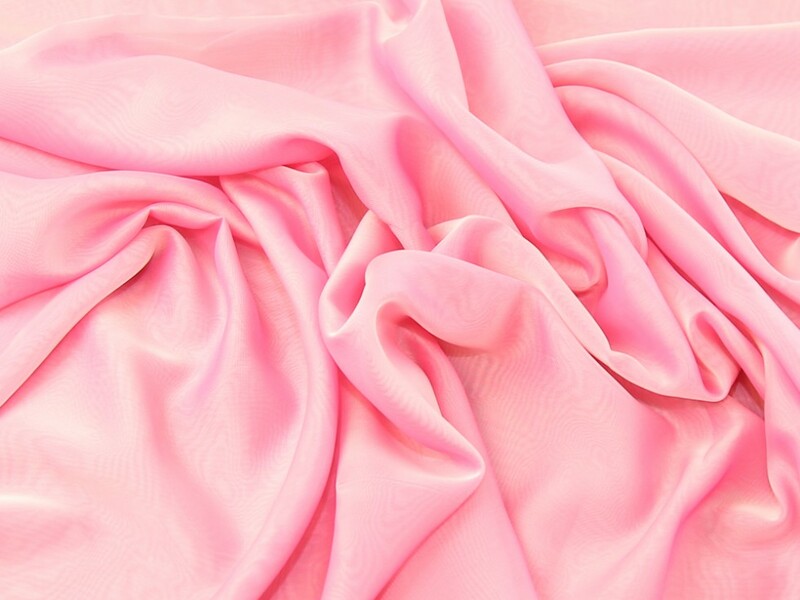 Cationic Chiffon is the most beautifully soft and flowing Chiffon Fabric. Most colours in this fabrics extensive colour range have a two tone effect, which shine different colours when viewed at different angles. Cationic Chiffon drapes and feels like no other fabric. Because of its sheer (see through) lightweight properties, Cationic Chiffon is often used in bridal wear, evening wear and clothing with lots of layers which gives a floating appearance to the garment. It is also widely used for decorative accents such as sleeves and gathered, ruching details on dresses etc. Like other crepe fabrics, chiffon can be a little difficult to work with because of its light and slippery textures. It is a non stretch fabric and due to its delicate nature, chiffon must be hand washed very gently.